Dr. Vicki is a dedicated child psychologist who is passionate about assisting parents find fulfillment as they raise happy children and responsible adults. For the past 25 years, she has devoted her work solely to the emotional well-being of children and adolescents. Her passion is just as evident in her clinical practice, as it is in her national and international speaking engagements, media appearances, seminars and published works. Magazines: “Dr. Panaccione”s informative and down-to-earth approach has made her an invaluable resource. —Melba Newsome, Free-lance writer, June Roth Memorial Award winner. Dr. Vicki is available for media interviews, requests to write targeted articles based on the needs of your audience, as well as workshops and seminars to assist parents in developing fulfilling, joyful relationships with their children. Specialty topics such as communication, discipline, role modeling, fostering independence, and many, many more can be formatted for any venue. 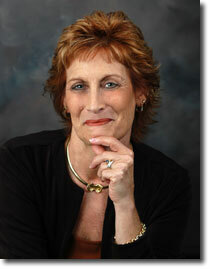 Dr. Vicki can be contacted through her online contact form or by calling (321) 722-9001.